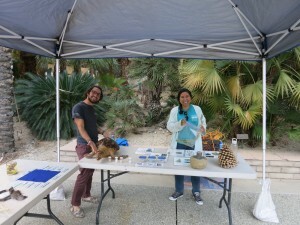 The Pathfinder Ranch 2nd annual Friend Raiser at the Living Desert was a hit! A big thanks to everyone who came out to see us! Attendees had fun participating in SAFE archery, making their own brands on wood cookies, and learning about the nature activities at Pathfinder Ranch. Live music was performed by Blue Daddy throughout the event. 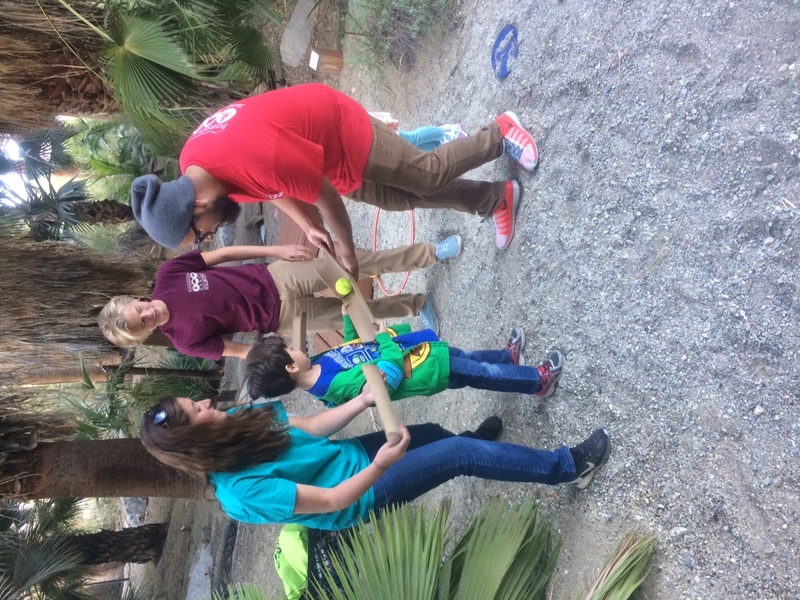 Guests socialized with Pathfinder Ranch outdoor education and summer camp staff, while learning more about the program through activities. Team Challenge with our new friends. Other activities included a raffle, food provided by Living Desert and drinks provided by La Quinta Brewing Company, and entrance into the Living Desert Park. We look forward to spending more time with the friends of Pathfinder! When students of Vanguard Elementary stepped into the Dinning Hall on the evening of October 28th they were in for a real Halloween surprise. The kitchen had prepared zombie brains (fully cooked) for them to eat, toxic sludge, with human hands and eyeballs, to drink and delicious pumpkin cupcakes for desert! At the end of the meal the students left for free time feeling full and in the Halloween spirit. Just like any other night, the bell for evening program rang promptly at 7:30. Students ran all over the basketball courts to find their animal sign, line up, and get ready for their night hike. Study groups were just about to leave for their hike when all of a sudden Ryan sped over to the basketball court on the Pathfinder Ranch space bus. 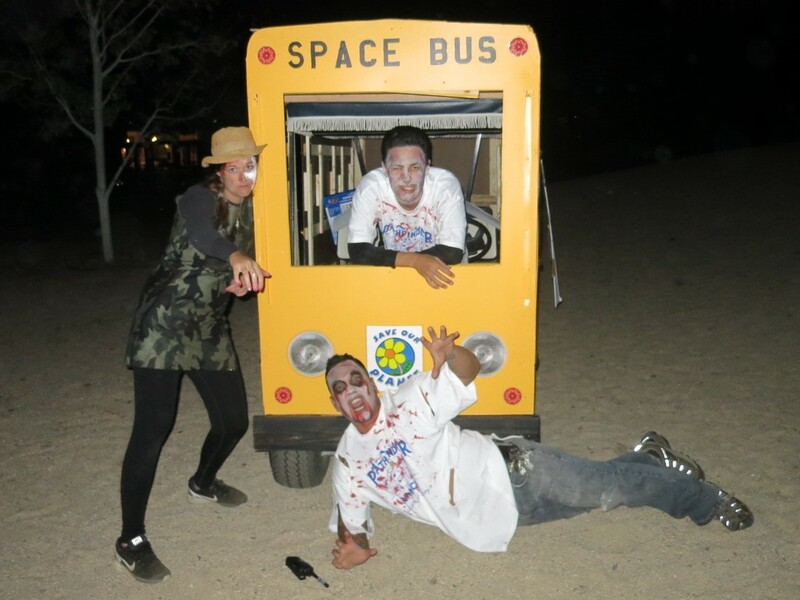 He exclaimed that Dingo, the Summer Camp Director, had been too eager and had eaten the zombie brains before they had been properly cooked and had turned into a zombie!! He urged the Vanguard students to find the cure so that more people would not be turned into zombies. Knowing that strength is in numbers, study groups paired off and set out to, different places on campus to try to find the zombie cure. 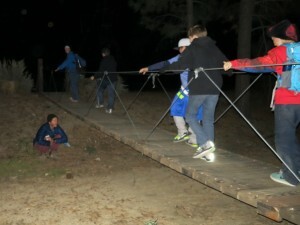 At the swinging bridge students encountered a troll that would not let them cross until they worked together to solve the ‘just one long word’ challenge. 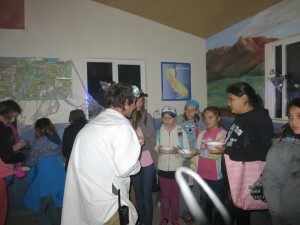 At the freshwater lab study groups found a mad scientist who tested their cure-handling and assembling skills by making radioactive, glow in the dark, slime. In the forest a one-eyed witch asked students to solve riddles in order to give them a part of the cure. And at the fort students learned how this wasn’t the first time there were zombies at Pathfinder. 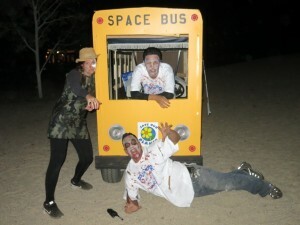 Throughout the night the zombie count grew as Ryan and naturalist Juniper joined the zombie crew with Dingo. Students encountered these zombies but did very well, staying quiet and still, to avoid them. 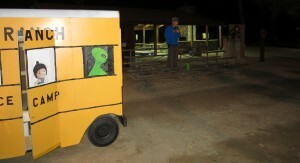 Juniper, Dingo, and Ryan recovering after receiving the antidote. Suddenly, a call came over the radio; the study groups coyotes and deer had found a part of the cure and were heading to the fort to meet everyone! Next, the antelopes and bobcats exclaimed that they had also found their part of the cure and were heading to meet the others. Soon after, the last few study groups joined the rest with their parts of the cure. With the help of the naturalists the students combined the different parts of the cure and called in the zombies. When the zombies came into the fort students and naturalists threw the cure on them and the zombies slowly turned back into their former selves. The students of Vanguard Elementary had saved the day! Hope you had a Happy Zombie-Free Halloween! 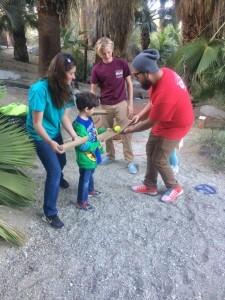 The heat of summer in Southern California is dwindling so let’s get outside and check out some of the fantastic parks and outdoor attractions we have! Hopefully after your time at Pathfinder, you got a bit more comfortable hiking and being in nature, that’s great! Here in SoCal we have incredible parks with some of the greatest hikes around. Near San Diego? Check out the beautiful Balboa Park, Lake Murray, Cowles Mountain, or Torrey Pines State Park. Closer to Los Angeles? Go to Crystal Cove State Park by Laguna Beach, Mount Baldy, or go to Catalina Island! In the Inland Empire? Check out Lake Perris, Mount Palomar, or the San Bernadino National Forest. Up for an adventure? Take a road trip to Joshua Tree National Park or Death Valley, amazing locations to see awesome plants, animals, and rocks, along with some of the best stargazing in all of the country. 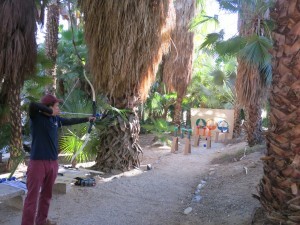 Along with great day and weekend trips that you can do, Southern California has some great outdoor events coming up soon. Maybe you are into the movies and the outdoors, well the Reel Rock 8 film festival is beginning soon in Pomona at Rose Hills Theater. 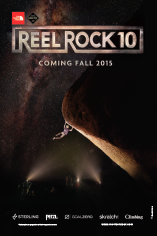 The films include some of the best climbing and adventure footage from around the world. 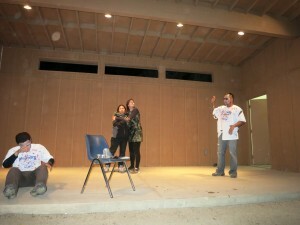 The festival is on November 14th starting at 7 PM. Did Pathfinder get you into rock climbing? Well you can go to the grand opening of , San Diego on November 7th for free climbing and yoga! Speaking of yoga, in the nearby town of Anza, Yoga Skies hosts yoga on the lawn of the Hamilton Musem every Saturday, for only $10. These parks and events barely scratch the surface of all we have at our disposal in Southern California. Get out there and start exploring! Flier from Mesa Rim rock climbing gym grand opening.